Oh, the alliteration! I had to, I’m sorry. Obviously, I’m only listing a few. I’m sticking to the ones I’ve most recently observed, but don’t forget about the caviar mani and the velvet mani! I do not personally own any of the textured polishes that have come out recently, so I’ll just provide you with links to some swatches. 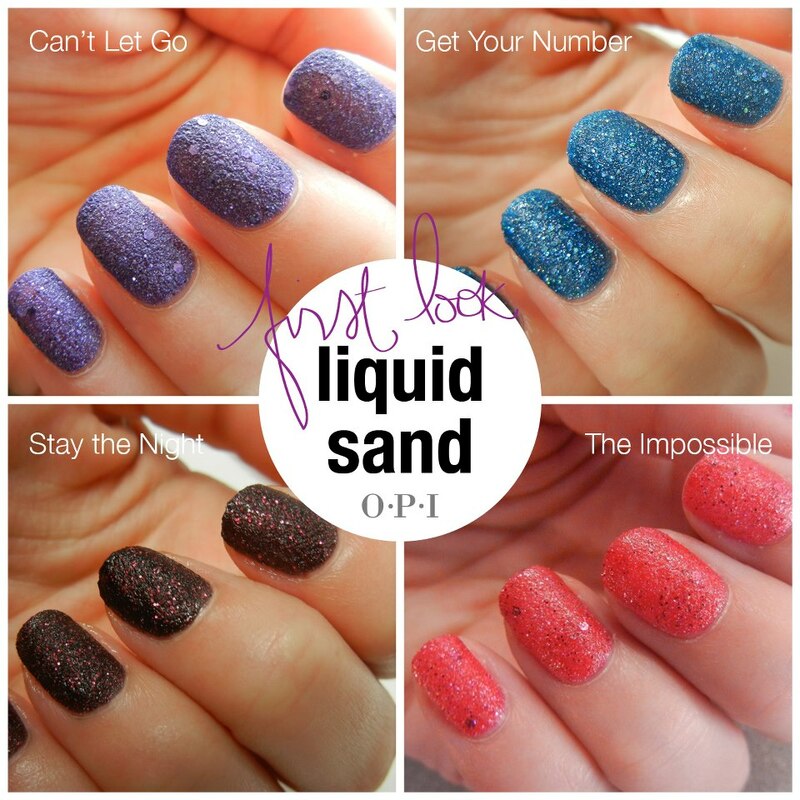 I did have the opportunity to nab some of OPI’s Liquid Sand colors, but they just didn’t appeal to me enough…and from the swatches I’ve seen, I’m glad I didn’t get them. Sure, it would be fun once in a while, but I’ve decided they’re just not for me. Maybe I’ll eventually get the minis…we shall see. You can see OPI’s Liquid Sand colors here. Zoya has a fairly similar collection, dubbed Pixie Dust. These ones actually caught my eye more than the OPI ones…I think it’s mostly due to the colors, but also partially because of the finer and more consistent glitter they use, where OPI’s are of varied sizes. I’m still not really jumping out of my seat with excitement (probably because I still like my sparklies to be…well, sparkly! ), but I think I’ll end up at least getting Godiva and Nyx. You can see Zoya’s Pixie Dust colors here. 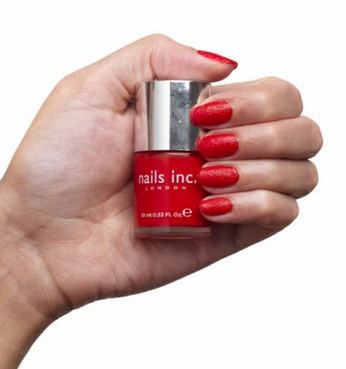 Another textured line is Nails Inc.’s Concrete collection. These ones, however, are not glitters and aren’t completely matte. I think the similarity comes in the form of the the bumpy, not smooth nail surface, rather than the finish. You can see Nails Inc’s Concrete colors here. What do you think of all these textures? Which ones make your heart beat faster?